You could call our friends at Igloo Studios “multi-taskers”. While they mainly concentrate on creating products and plugins for designers and architects, they also have a podcast, a SketchUp training program and a popular book. 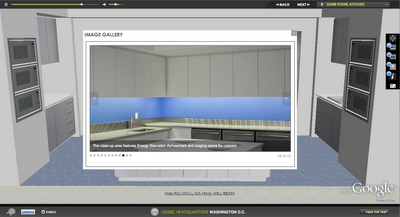 Their latest project is a virtual tour of the U.S. Green Building Council’s headquarters in Washington, D.C. (Note: you’ll need the Google Earth plugin installed to view). This project is cool for lots of reasons. For starters, USGBC’s 75,000-square-foot facility is loaded with efficient and innovative green features that have earned the building a LEED Platinum rating. 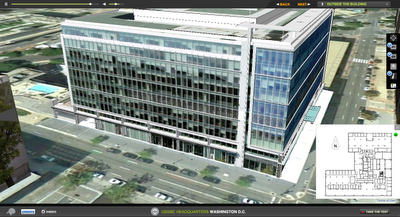 Professionals regularly tour the USGBC for real-world examples of successful green practices. 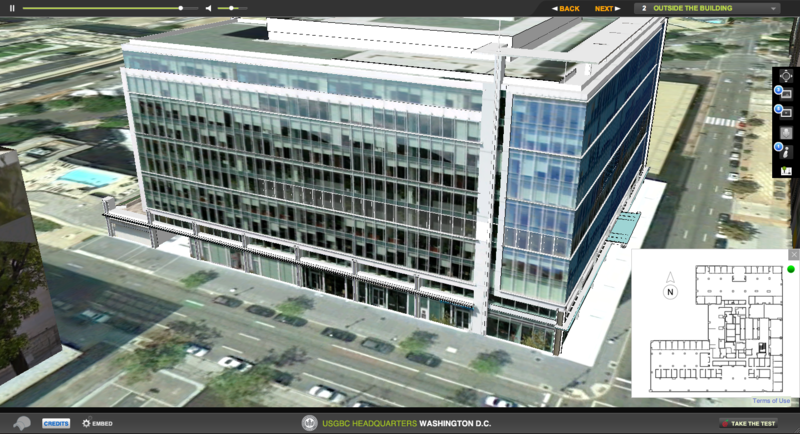 However, not everyone has the luxury of being able to visit Washington DC, so Igloo Studios built this one-of-a-kind Google Earth tour of the building. Using a custom instance of the Google Earth plugin and building product catalogs from the 3D Warehouse, Igloo was able to create a tour of both the exterior and interior of the building! 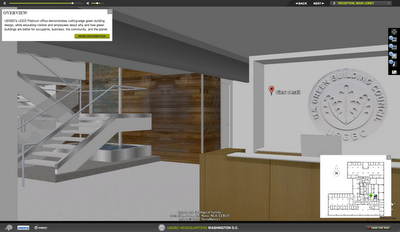 As you navigate through the 3D building, you’ll notice it’s jam-packed with other goodies like a guided audio tour, photos and embedded videos. 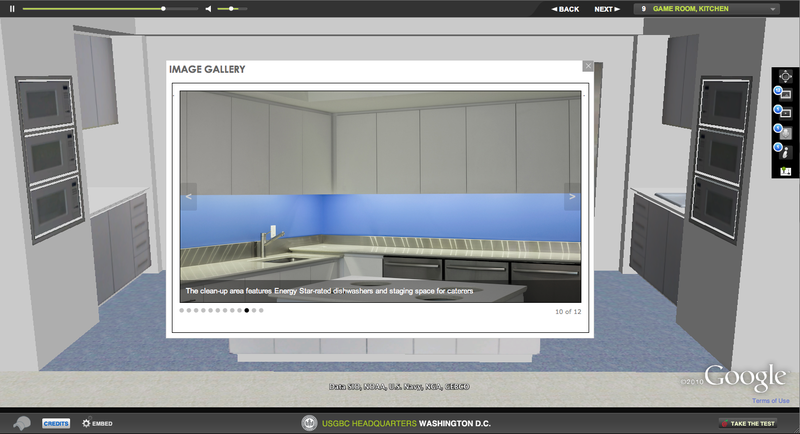 You can even click on the building’s materials and products to learn more about the green tech used in its construction. Once you finish the tour, you can launch a test that will earn you the same continuing education credits that you would get for taking the live tour. And the coolest feature of all: if you find a building product during the tour that might be useful in one of your projects, you can download it directly into your SketchUp design!